The Israeli Civil Administration’s approval of three major industrial zones, out of 11 zones in the West Bank ignores the Green Line and aims at confiscating more Palestinian lands to build more Israeli settlements, according to Khalil Al-Tufkaji, a cartographer and expert on Israeli settlements. Al-Tufkaji pointed out that these industrial border areas were established to annul the thought of the Israeli withdrawal from the Palestinian territories that were occupied in 1967. According to Al-Tufkaji, a closer look to the map would show that the Israeli industrial zone is an extension of the Israeli settlements, and only 500 meters away from the Palestinian border villages. Consequently, the establishment of the zone would prevent the Palestinian villages from growing. He stated that there are many goals for this plan, including annexing all Palestinian border lands, turning a deaf ear to the Palestinian return to the borders of 1967, and depriving the Palestinian workers of reaching the Israeli settlements by establishing Israeli industrial projects in the West Bank. This Israeli plan, as Al-Tufkaji pointed out, changes the nature and illegally expropriates Palestinian lands. The plan also changes the land use from agriculture to industry, and adds it to the maps of the ‘Israeli ministry of transportation’, as part of the plan of linking Tel Aviv with occupied East Jerusalem and the Old City through the Israeli road network to facilitate the movement of Israeli settlers. Al-Tufkaji pointed out that the Israeli project is planned to be in the West Bank as part of the Israeli project to link border settlements with Jerusalem through the high-speed rail line, which is expected to be finished by 2017. “This is the second and biggest Israeli industrial zone in the settlements between Jerusalem and Tel Aviv. It aims at moving the Israeli industries to the occupied Palestinian lands and exploiting the low-waged Palestinian workers without having them in the Israeli settlements inside the Green Line,” he clarified. He also stressed that the Israeli projects are connected and well-planned to achieve the Israeli Zionist project of “Greater Jerusalem”. 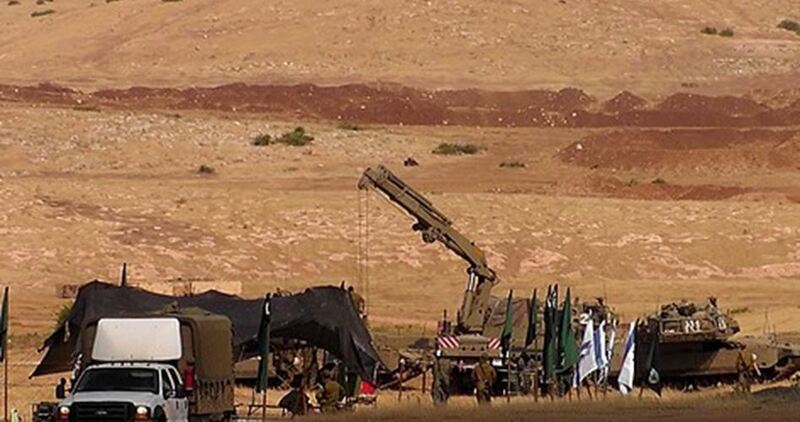 The Israeli occupation army is expected to carry out large-scale military drills from Sunday to Thursday across the occupied Palestinian territories. The Israeli 0404 news site quoted the occupation army’s spokesman as claiming that the maneuvers make part of an Israeli military plan for 2016 aiming to uphold the competence and promptness of the occupation forces in an anticipation of any emergencies. The ground, air, and navy forces are expected to take part in the five-day drills. Sounds of red sirens and random gunfire shots are expected be detected all the way through the drills. Earlier on Saturday, the Israeli Channel 7 said the maneuvers are expected to kick off on Sunday in 1948 Occupied Palestine. It added that heavily-armed military jeeps and vehicles are expected to scour the area while fighter aircrafts will be hovering over the territory without prior notifications. Palestinian civilians raised concerns that such military drills would intensify their children’s traumatized psyches after images of warfare and bloodshed have turned into a fact of life in the occupied Palestinian territories. A protest sit-in was organized Saturday in occupied Jerusalem against the Israeli attack on Qalunia cemetery west of the city. 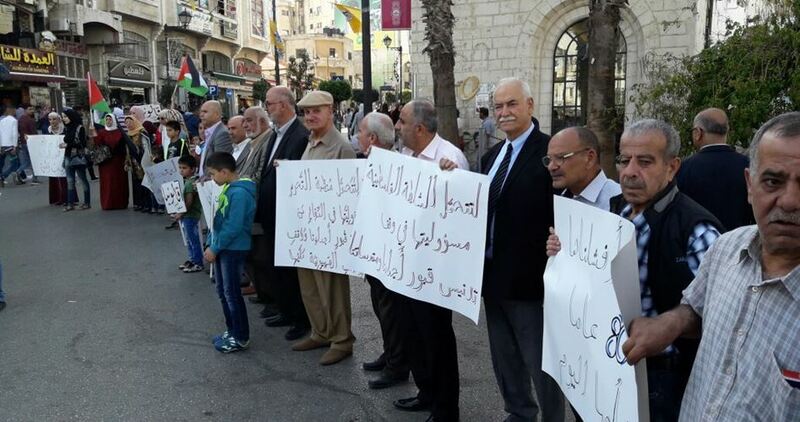 Head of the Qalunia charity association Azmi al-Khatib participated in the event along with head of the national committee to defend the right of return Mohamed Alyan, and representatives of the Palestinian assembly of displaced towns in 1948, in addition to local residents of Qalunia town. The participants chanted during the event slogans protesting Israeli attack on the Islamic cemetery of Qalunia, considering it a war crime. During the protest, Alyan strongly condemned the Israeli deliberate attacks against Palestinian holy sites and Islamic cemeteries. He also stressed the Palestinian people’s total adherence to their right of return to their displaced towns. Alyan denounced the Israeli continued attacks on the cemetery despite a court’s order to suspend the bulldozing operations. 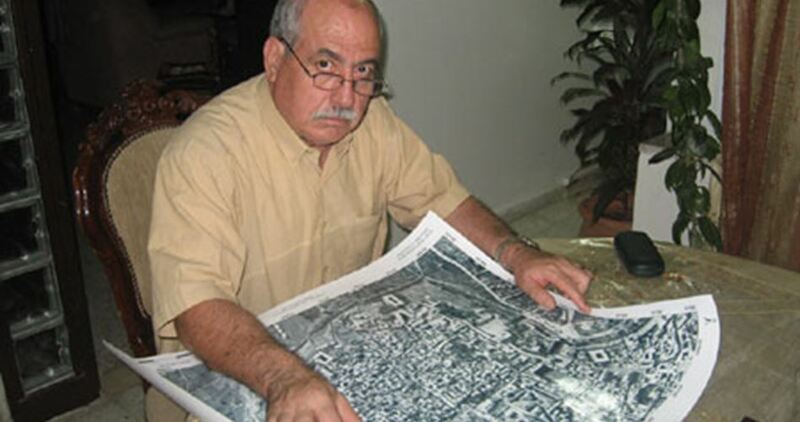 For his part, al-Khatib said that the protest was organized in rejection of Israeli bulldozing operations in Qalunia cemetery, considering it a part of Israel’s Judaization policy. 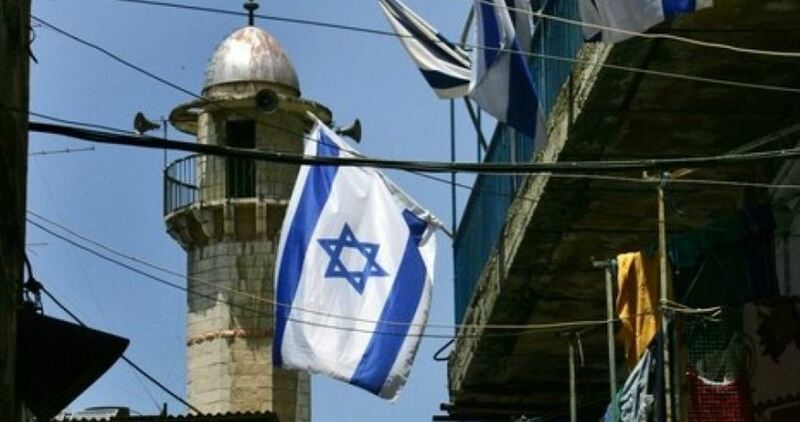 The participants also called on the Palestinian Authority and the PLO to work urgently and seriously to expose Israeli attacks on Islamic holy sites. 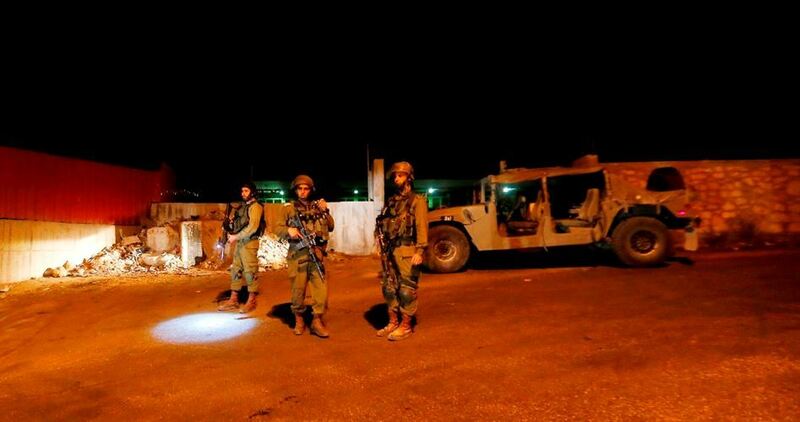 The Israeli occupation forces (IOF) on Saturday evening sealed off the main entrance to al-Khalil’s towns of Sa’ir and al-Sheyoukh with a military checkpoint. A PIC news correspondent said the IOF pitched a military checkpoint on the accessroad to Sa’ir and al-Sheyoukh towns, where Palestinian vehicles and civilians were subjected to intensive inspection. 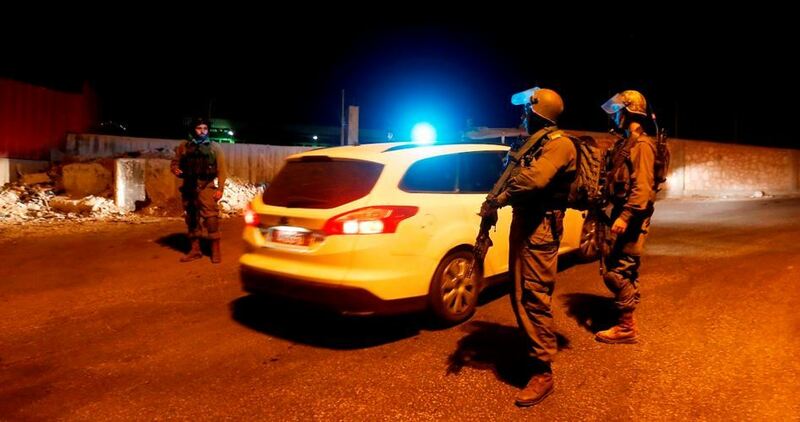 Meanwhile, over 40 Israeli soldiers stormed Namra neighborhood, in eastern al-Khalil, and raked through the area, sparking panic among children and women. The Palestinian anti-occupation protesters responded to the assault by hurling stones on the occupation troops as they passed through Bypass Road 60 to the east of the Israeli illegal settlement of Kiryat Arba. The Israeli Occupation Forces (IOF) erected Saturday evening four military checkpoints throughout Jenin to the north of the West Bank. Local sources told the PIC reporter that Israeli forces were deployed in large numbers throughout the city and especially on Jenin-Nablus road, restricting the people’s movement. Several people were stopped and searched at the checkpoints, the sources added. 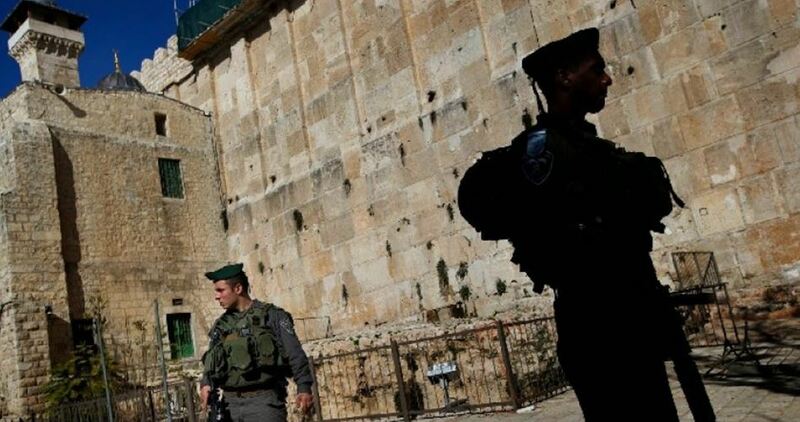 World Bank delegation visited Friday al-Aqsa Mosque and met with senior officials in the Islamic Endowment Department who briefed the delegates about Israeli escalated violations in the holy shrine. The World Bank delegation included its Executive Director Herza Hasan, the adviser Fawaz al-Balbassi, and Talal Naser al-Din. The delegation was received by deputy head of the Islamic Endowment Mohamed Naser al-Din and director of al-Aqsa Mosque Sheikh Omar al-Kiswani and head of the Endowment Council Sheikh Abdul Adhim Salhab. During the meeting, Sheikh Kiswani briefed the delegation members about the Israeli continued and escalated Judaization plans against al-Aqsa Mosque. The Endowment officials also stressed the urged need for an Arab and Islamic intervention to support the Palestinian people’s steadfastness in occupied Jerusalem, the PIC reporter said. Sheikh Kiswani also stressed the importance of protecting holy sites in occupied Jerusalem topped by al-Aqsa Mosque. 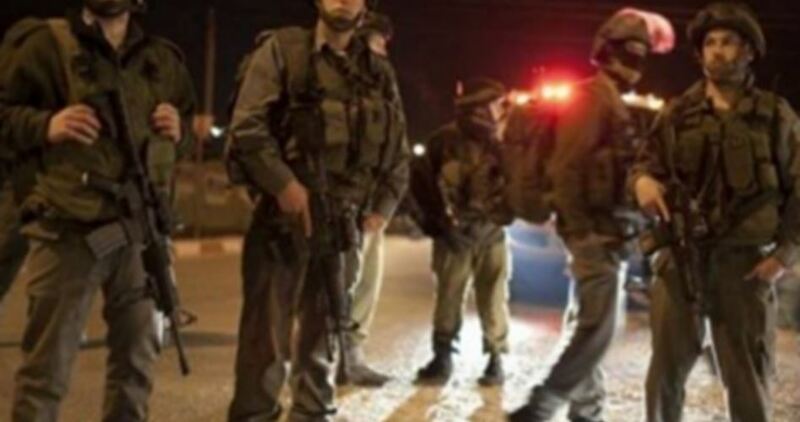 Israeli soldiers on Friday night obstructed the movement of Palestinian citizens at the main entrance to Jaba town, south of Jenin, and interrogated young men. Local sources told the Palestinian Information Center (PIC) that soldiers aboard three patrol vehicles blocked the Jenin-Nablus road near Jaba junction, causing heavy traffic jams. They added that the soldiers embarked on questioning young men, searching vehicles and checking IDs. Israel uses roadblocks and checkpoints to restrict the movement of citizens and conduct searches and arrests. They have always been a constant nuisance to the Palestinians in the West Bank. A top adviser to President-elect Donald Trump says his boss doesn't think Israeli settlements should be condemned and they don't pose an "obstacle to peace." Jason Greenblatt's comments to Israel's Army Radio Thursday would mark a stark departure from the long-time American stance that Israeli construction in areas captured in the 1967 Six Day War makes it more difficult to reach a peace agreement with the Palestinians. Greenblatt is the chief legal officer and executive vice president at the Trump Organization. He has been tapped by Trump as his top adviser on Israel. Israel and the US are close allies but relations were often tense between President Barack Obama and Prime Minister Benjamin Netanyahu, mainly over Israel's policies toward the Palestinians. 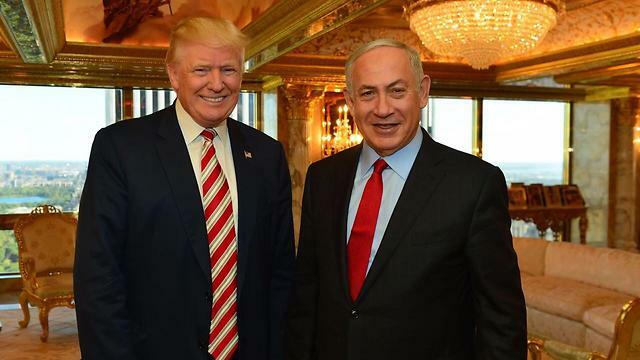 Netanyahu and Trump have been friends for many years and ties between the two are expected to improve. After Trump was proclaimed the victor of the presidential elections, Netanyahu posted a Facebook video congratulating the president-elect, describing him as a "true friend" and expressed his optimism about elevating the US-Israeli relationship to "new heights." Later on Netanyahu called Trump, reiterated his belief that he was a "true friend of Israel" and assured him that the US has no greater ally than Israel. Meanwhile, Trump's victory has put a new, optimistic wind in the sails of the settlement enterprise in Israel, as right wing MKs and West Bank regional council leaders welcomed the Republican's election. Yossi Dagan, head of the Shomron Regional Council, publicly supported Trump, and expressed his hope that a new path will be made in regards to the West Bank settlements. "I'm sorry to say this, but the decision to build a new park in the West Bank isn't made by the head of the Regional Council nor by the Israeli government, but on the whims of the President of the United States and how he feels that day," Dagan said. Dagan, who participated in the opening of the Trump campaign headquarters in the West Bank, and even met with Trump Advisor David Friedman, continued by saying that "we decided that we will no longer sit on the side and watch as world leaders decide our lives, but become involved instead – both for our sakes, and for the sake of our children." Dagan said. Dagan then directed his message to the Netanyahu government, saying "we have high expectations for a significant change in how the Israeli government treats Judea and Samaria following the election of a US president who is a friend to the settler movement in the West Bank. We expect an end to the construction freeze, and even more." Mayor of Ariel Eliyahu Shaviro also welcomed Trump's victory. The mayor added that he believes that the new American president will stand by his pledge of preventing a Palestinian state, and will continue to support building within the settlements, especially in Ariel. Meanwhile, Acting Head of the Gush Etzion Regional Council Moshe Saville said "I'm sure that a new era of bravery and connection to the land has begun." 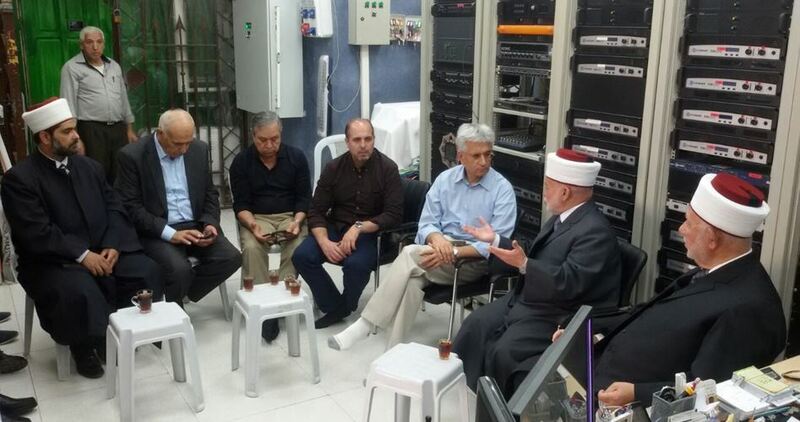 The settlers also received support from the Bayit Yehudi party, specifically from Party Chairman Naftali Bennett. He wrote on Facebook that "Trump's victory is a rare opportunity for Israel to announce on its withdrawal from the idea of establishing (a Palestinian state) in the heart of Israeli territory, something which would constitute a direct harm to our security and in the justice of our cause. This is the President elect's view as is written in his platform, and this of course must also be what we do as well. Straight, simple, and clear. This is the end of the era of the Palestinian state." Meanwhile, Bezalel Smotrich (Bayit Yehudi) said "something happened, the change which occurred (on Tuesday) in the US is a fait accompli. One thing must be made clear, the two state solution must be shelved immediately. The government in the US is going to change, and with that so will the terrible freeze on building which was forced on the State of Israel by the previous administration… I call on the prime minister and the entire government to stand behind the settlement of Judea and Samaria, and to announce the building of thousands of housing units today." Science Minister Ofir Akunis told Army Radio Thursday that, "We need to think how we move forward now when the administration in Washington, the Trump administration and his advisers, are saying that there is no place for a Palestinian state."